Cinders & ashes! Get ready for the big day as the Lion of Sodor visits Thomas and his engine friends in the all-new CG animated Thomas & Friends™: The Lion of Sodor coming to DVD, Digital Download and On Demand December 7, 2010 from Lionsgate and HIT Entertainment. Hop on board as Thomas learns how to be a Really Useful Engine in these four episodes from the all-new CG animated TV series. Host Driver Perkins, who can ONLY be seen on DVD, engages children with interactive dialogue and extra fun! Teaching timeless life lessons such as discovery, friendship and cooperation, the Thomas & Friends animated series invites children to enter a world of imagination through the tracks of a train and the words of a story. Join Thomas as he roars down the tracks with the most special delivery yet, The Lion of Sodor. Thomas’ special delivery is not what he thinks it is - a real lion. When the other trains try to tell him that it’s actually a statue, he is too excited to listen. Join Thomas as he learns the importance of listening to others in this lionhearted collection of tales from the tracks. 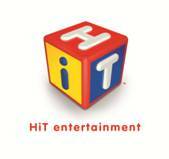 Title Copyright: © 2010 HIT Entertainment Limited. Thomas the Tank Engine & Friends™ Based on The Railway Series by The Reverend W Awdry. Thomas the Tank Engine & Friends and Thomas & Friends are trademarks of Gullane (Thomas) Limited. Thomas the Tank Engine & Friends and Design is Reg. U.S. Pat. & Tm. Off. B is a train FANATIC, and Thomas & Friends is easily his absolute favorite show of all time! He was totally jazzed when we all sat down to watch Thomas & Friends: The Lion of Sodor. The delightful storyline to all 4 stories, and the live (the rest of the storyline is animated) station keeper who prefaces the stories captivated both B & the Princess. I have to say, I actually got into the stories as well, and I absolutely LOVE the CG animation! B & the princess especially enjoyed "Time for a story" and the "Lion of Sodor episodes. As a mom I'm always excited to introduce my children to what I like to call "programs with a purpose".....and Thomas & Friends is definitely a program with a purpose! There's always a moral to the story line on Thomas & Friends; in The Lion of Sodor DVD B and the princess learned the importance of patience, kindness, & following direction. We all really enjoyed The Lion of Sodor, it would make the PERFECT Stocking Stuffer this Holiday Season! You can find Thomas & Friends: The Lion of Sodor on DVD online and at a retailer near you. The PERFECT Stocking Stuffer this Holiday Season! One Lucky Reader will receive a DVD Copy of Thomas & Friends: The Lion of Sodor ! Leave a comment~ Visit http://thomasandfriends.hitshopusa.com/ and let me know another DVD Title you would love to gift or receive this Holiday Season. The comment is considered your entry. 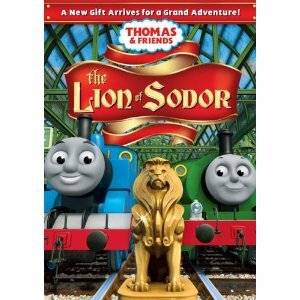 2) Tweet ~ #WIN Thomas & Friends ALL NEW Lion of Sodor DVD! @savvycouponmom http://bit.ly/eJPe6W #GIVEAWAY #Holidays (can be repeated twice daily for additional entries~ copy paste please~cut and paste- the bit link must be posted in the tweet - I will check) (Additional 5 Entries - 5 Comments). Entry to this giveaway ends at 12pm PST December 23, 2010. Winner's are chosen randomly through random.org. The winner will be announced in a post within 7 days of the giveaway ending, and contacted through email. The winner will have 48 hrs. to respond or another winner will be chosen. I'd love to gift the Thomas & Friends - DVD - Hop on Board Songs and Stories. My son is a Thomas nut! I would love to get him the Misty Island movie! So sorry - I meant to say the "Little Pets" giveaway instead of the Thomas ones above... sorry! I would like to get hin the Christmas Thomas so we could watch it togheter Christmas Eve for many years to come. I also did the other entries you asked us to do and I also entered another Giveaway as well. I'd love to gift the Thomas & Friends - DVD - Merry Winter Wish this holiday season. I follow via GFC and I would love to give my nephew the Thomas and Friends Hit Favorites - DVD - Colors Are Fun! I would like to gift the Thomas & Friends - DVD - 10 Years of Thomas with Toy Train. I like Hit Favorites - DVD - Colors Are Fun!